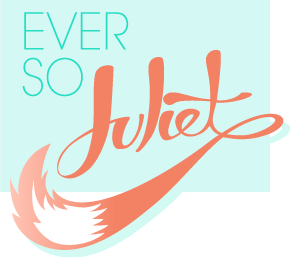 Ever So Juliet | Edinburgh lifestyle blog: April sponsors! This month Children with Cancer UK are launching Bake Club - a fun and simple way to raise money and save young lives. Help the fight against childhood cancer by making some tasty treats and fundraise at home, at work, or in your community. On the Bake Club website you can download a fundraising pack full of tasty tips, recipes from Jane Asher & James Martin, as well as posters and decorations. Cakes and a good cause - what's better than that? Sylvia is a new food blogger that has started her site to document her eating experiences, recipes & more! If you are a fan of food (er, who isn't?) and amazing photos that will make you drool then take a look at her blog! Want to win tickets to a festival of your choice in Scotland? Plus accommodation? AND train tickets? Well here's your chance - The List & Visit Scotland are running a competition... and if you win you can choose which festival you go to. Brilliant! If you would like to sponsor Ever So Juliet then you can do so here! This site reaches just over 11,000 unique users per month, so it's an ace & very affordable way to show off what you do. Adverts start at only $5 (which is £3!) for a month on site & a spot in my monthly sponsor feature. Alternatively, if you would like to swap buttons, or if you are a charity looking for some free advertising then please get in touch! My email is thisisjuliet @ gmail.com, or comment below. Thanks!